To revise an initiated law enacted in September that increased the state minimum wage. 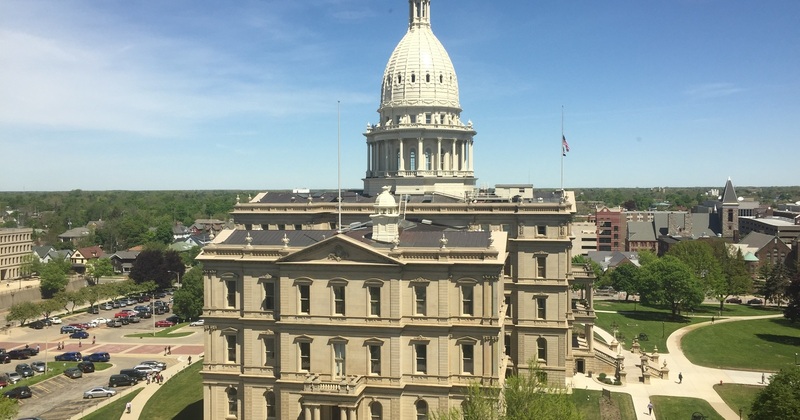 The measure was brought to the legislature by a petition drive, and originally would have increased the current $9.25 minimum to $12 in 2022, and eliminated a separate lower minimum wage for tipped workers. This bill extends the phase-in of the $12 minimum to 2030, keeps a separate and lower minimum for tipped workers (employers must pay the difference if tips come up short of the regular minimum wage), and eliminates indexing the minimum wage to inflation. To revise an initiated law enacted in September imposing a paid leave mandate on employers. The law was brought to the legislature by a petition drive, and originally would have granted workers one hour of paid leave for every 30 hours worked, up to a maximum of 72 hours a year. The revised version mandates one hour of leave for every 40 hours worked, with an annual paid leave cap of 36 hours. Firms with 50 or less workers would be exempt. The revised version also removes provisions that would impose extensive record keeping requirements on employers, with a potential legal presumption that incomplete records means an employer has violated the law. To prohibit the state and local governments including public schools paying employees who are also union officials for doing union work on school or government time. Under these so-called “release time” arrangements many public school districts pay a local union official a full time teacher's salary and benefits even though the individual does not teach or perform any other educational functions. To prohibit government agencies from imposing a donor disclosure mandate on nonprofit organizations, which would require them to turn over the names and personal information of contributors for posting on government databases. Agencies and their staff would also be prohibited from disclosing such information if they already possess or acquire it, with violators subject to misdemeanor penalties and civil fines. To preempt local governments from restricting residents in trimming or cutting down trees that are located on private property with an agricultural, business, commercial, or industrial zoning classification, except for “heritage trees” as defined in the bill. Also banned would be "mitigation” mandates that require property owners to plant other trees or pay a fee. To grant state pensions equal to 45 percent of their final base pay for state military affairs directors and assistant directors (called Adjutant Generals). Fiscal agency projections indicate the bill will add $2.5 million in liabilities to this severely underfunded state military pension system. To prohibit animal shelters and pet shops from selling or transferring a dog unless it is at least eight weeks old, has a health certificate and implanted microchip ID, and unless the seller can document it was obtained from an animal control shelter, animal protection shelter, dog retailer, or a USDA-approved breeder that is not an unlicensed “large-scale dog breeding kennel." To establish a permissive licensure and regulatory regime on fantasy sports games and contests that offer money prizes, with games subject to specified restrictions and requirements, and an initial license fee of up to $50,000 for would-be vendors. Game outcomes would have to be the result of player skill and knowledge and not just chance, with prize amounts specified in advance. Individuals who run small scale fantasy sport games from their home would be exempt from licensure. A related bill to legalize sports betting appears to be dead for this year. To establish a regulatory framework for installing small cell wireless phone and internet systems in public right of ways. These systems use small wireless internet transmitters on power line poles and other existing infrastructure to provide expanded cell phone and internet access without needing expensive towers. The bill would cap the amount the state and local governments could charge for zoning, permits and other fees imposed on these "5G" networks.